Wayyy back in March, I wrote a post about the importance of setting goals as a writer. I mentioned a little bit about a class I took in middle school that taught me how important it is to set goals for yourself. Honestly, that was the only thing I really got out of that class, and I still use it today. Let's just go with a long time. I'm dying to work on The Rosewood Does Not Lie, as well as my fantasy book. But I just haven't been able to make myself do that because I know if I don't have a plan, I'll get caught up and lost in my already busy school/work life. So what should I do? What should you do when you get caught in situations like this? You've gotta set some goals--and not just any goals, either. Manageable goals. Don't: Set a goal to write your whole book in a week. AKA, don't set goals that are too big. Why not? Goals are meant to be manageable. Meaning that when you set them, it's with the intention of actually reaching them in your time frame. While writing a book in a week (or other large goals) can be managed if you really try, odds are you'll end up not reaching your goal and feeling angry at yourself because of that. So you should: Set goals that are realistic and reachable, such as writing your whole book in a few months. Don't: Set a goal to write five words a day. AKA, don't set goals that are too small. Why not? While writing five words a day is definitely reachable and could be accomplished easily, it's a goal that doesn't push you as a writer. 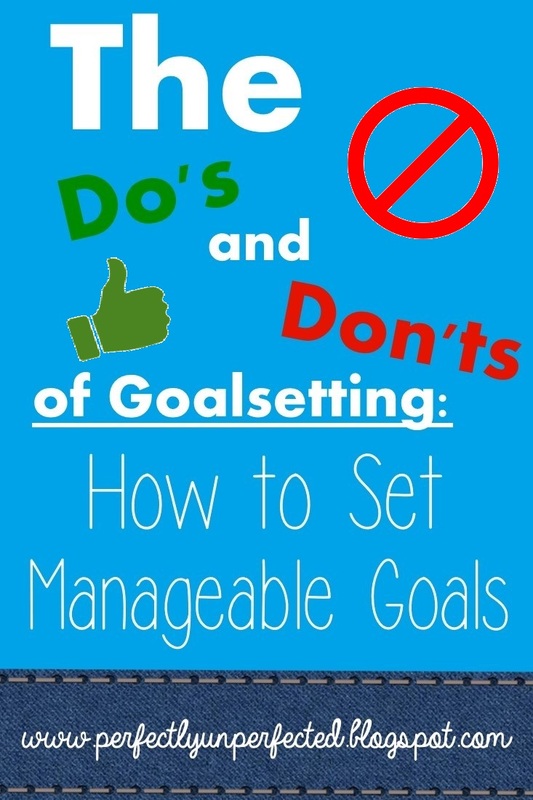 Like I said above, goals should be realistic and reachable--but they should also push you as a writer and create a challenge for you to overcome. So you should: Set goals that are realistic as well as challenging, like writing 100 words a day. Don't: Set a goal to write today. 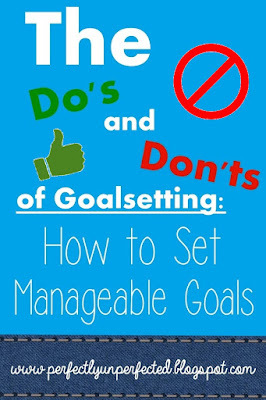 AKA, don't set goals that are too broad. Why not? How many times have you ever said to yourself, "I'm going to write today," and then when you sit down to write, you end up scrolling on Pinterest instead? Setting a goal that isn't specific is basically doing just that. If you make your goal to write today and only write 2 words, you've achieved your goal technically, but as a writer you're gaining nothing. So you should: Set goals that are specific, such as writing a certain amount of words per day or a specific number of chapters a week. Don't: Focus on your long term goals. Why not? There are two types of goals: short term, and long term. Both are great, but it's important to focus on short term rather than long term goals. For example, my long term goal is to get my book published and have a writing career. That's great. My short term goals--writing and editing my books and then attempting to get a literary agent--are the steps that take me to my long term goal. But if I focus on just my long term goal of publication, I find myself choking. I get scared of the future. I wonder if my short term goals even matter. I freeze! So you should: Create both long term and short term goals for yourself, but focus on the short term. Otherwise, you'll just psych yourself out or get distracted! These are great tips! Now if I can just get myself to follow them. =D Thanks for the post!